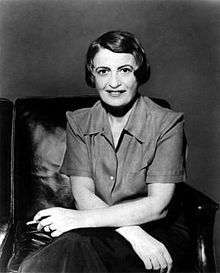 AYN RAND is the author of "Anthem, The Fountainhead, " and "Atlas Shrugged", and numerous non-fiction essays on philosophy, ethics, politics, art, and literature. Her philosophy, Objectivism, has gained a worldwide audience of adherents and admirers. She died in March 1982. The following is a personality profile of Ayn Rand based on her work. Ayn Rand is shrewd and unconventional. She is unconcerned with art, she is less concerned with artistic or creative activities than most people who participated in our surveys. She is unstructured as well: she does not make a lot of time for organization in her daily life. But, Ayn Rand is also cautious of others: she is wary of other people's intentions and does not trust easily. Publication dates misleading in listings. Seemed good at the time.